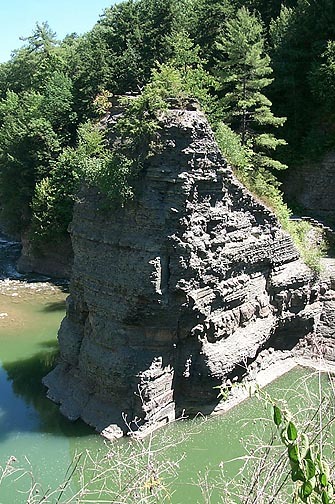 This geological feature has been a landmark of the Lower Falls area since the very beginning of the Glen Iris Estate. 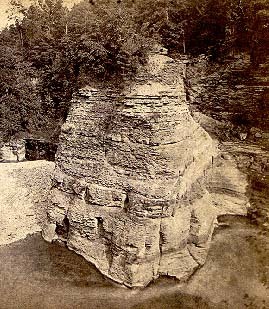 Also called "Cathedral Rock", it was formed by the rushing waters of the River. Compare the image above to the modern photo to the right. Both shots were taken from Table Rock.